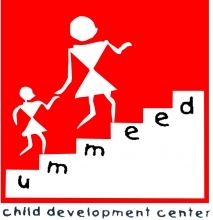 Ummeed Child Development Center is a Mumbai based organization working in the field of child development. The Setco Foundation has partnered with Ummeed to integrate early childhood development (ECD) promotion and screening into the health outreach programs. Under the training and guidance from Ummeed, Setco Foundation has adopted the Guide for Monitoring Child Development (GMCD) as a tool to identify developmental delays in the children, understand the approach to developmental concerns in pediatric practice and know the guidelines on when to seek specialist assistance. Our team of 27 frontline workers have been undergoing training and development under Ummeed since 2014. 11 frontline staff have successfully completed the 4 module training of ECDD. Two have been further trained for Child Development Aide (CDA), a one year residential program, which enables them to work with families of children at risk for developmental delays and providing appropriate interventions. Society for Nutrition, Education and Health Action, (SNEHA), is a Mumbai - based non - profit organization. SNEHA works at the community level to empower women and slum communities to be catalysts of change in their own right and collaborate with existing public health systems and health care providers to create sustainable improvements in urban health. 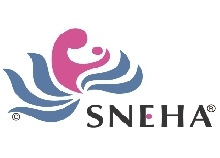 SNEHA targets four large public health areas - Maternal and Newborn Health, Child Health and Nutrition, Sexual and Reproductive Health and Prevention of Violence against Women and Children. Shreyas Foundation has partnered with Setco Foundation team in building a play-based, joyful, child-driven, early childhood education programme in our anganwadis. They help build capacity by training teachers through residential workshops, on-site training and supervision. The teachers are also given assistance in preparing the curriculum, designing the activities, building tool kits based on thematic and development goals for the children in a culturally revelant context. BLUElab India is a student organization made up of about 15 engineering students from the University of Michigan in Ann Arbor, Michigan, United States of America. 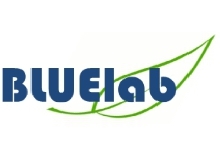 The team is part of a larger student group called BLUElab, which stands for “Better Living Using Engineering Laboratory”. The groups that operate under the name of BLUElab are working in places all over the world to co-design sustainable, appropriate technology with the locals. The BLUElab Project India (BLIP) works in collaboration with Setco Foundation, with a small agricultural community called Dolatpura near Kalol in Gujarat, India. The team works on two focus areas namely smokeless cookstoves and usable toilets using a community-driven design approach.